These days, the usage of drones is extremely popular. It means that more and more people buy thesedevices. Nevertheless, when it comes to choosing the best and the most cross-functional model, each futureuser faces lots of questions. The most popular one is which drone is better? The question is common foreveryone who wants to obtain this device for the first time ever. 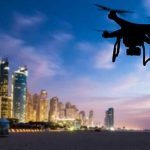 The modern technological market offers a very big choice of drones, from cheap quadcopters to rather expensive and cross-functional drones. Some people buy drones as toys. They just want to make family photos and that is all. Nevertheless, there is a category of customers who buy drones as professional devices, who will let them shoot incredible films. In sober fact, there are many causes that can really influence your buying decision. Besides, before buying thedevice, one should look through the rules of using the drones in their country. First, let’s check what criteria future drone users should take into consideration. A Drone and a Quadcopter: Is There the Difference? Very often people confuse these two notions. Nevertheless, there is the difference between them. Frequently, customers, choosing the drone see that too expensive professional devices are called as drones. On the flip side, cheaper devices are marked as quadcopters. Yet still, the discrepancy is the following one – drones can stay in flight for a longer time period because it is an unmanned aerial vehicle. Which Drone Price is the Most Optimum One? Everything depends on your requirements to this device. If your overriding priority is to shoot professionalvideos you will pay $1000 or even more. This drone will be empowered with all possible features the deviceshould have. Besides, more expensive drones can work on a single charge for a longer period. Some of theexpensive devices are endowed with a plethora of useful options, like the capability to avoid obstacles or making high-quality photos. If you just need a simple drone, making photos, you will spend no more than $100. Choosing a drone, one should prefer a reputable and popular manufacturer. In some instances, some thingsmay be broken. Very often these are propellers. A reputable manufacturer adds a couple of spare rotors to each drone. For that reason, you should check whether there are some spare rotors in the set. This criterion also should be taken into consideration. Cheap drones fly less than 10 minutes. After that, theuser will be made to spend at least one hour for the battery recharge. Nevertheless, if you want to have a drone but you are not ready to spend money on this, you should think about the replaceable batteries. Besides, small and cheap drones cannot withstand the windy weather. For that reason, you can use it only in case the weather is windless. Nevertheless, even the most expensive drones do not fly more than 30 minutes. This is probably the most essential factor to which each potential drone user pays attention. The cheapestdevices are endowed with the cameras that can shoot 720p video. Nevertheless, if your overriding priority is to shoot aerial video, the camera should support 1080 p. It will also be useful to read the feedback from theexperienced users, those people who use drones professionally and can share their experience of the specswork. If you are the one who wants to obtain the best drone, you should prefer the model with gimbals. Its primeobjective is to keep the camera steady in case the device tilts. Though gimbals are rather expensive, you willnever regret after purchase. Some models of drones are endowed with the cameras that record video files to a micro SD card. The release of this model really amazed all drone users. This folding drone is amazing. This is the mostportable drone which exists nowadays. It is small and you can take it anywhere with you. Now, there is no need to buy huge bags for the transportation of drones. If this model is so small, it doesn’t mean that it lacks functionality. It is even better than a well-known cross-functional Phantom 4. The average cost of this model is $999. This is one of the most expensive models. Nevertheless, users realize that they pay for a high-performance device. The Phantom 4 allows you to shoot 4k video. This drone is an ideal choice for everyone who wants to capture professional cinematic aerial shots. The model has a rather expensive battery and other spares, butit is really worth its money. Nevertheless, it is not small. The average price is $1200. This is a great instrument for capturing high-quality aerial shots. Nevertheless, you will be made to buy a gimbal and GoPro. Besides, its price is rather high, $970. For that reason, it doesn’t fit to all types of customers. Those users, who wish to save cash, may prefer the Phantom 3 Advanced, which is cheaper butcomes with a gimbal and a professional camera. This model is for those who used to choose time-proven devices. It was released several years ago andmanaged to prove its high functionality. Through the use of this drone, one can easily create cool videofootage. To use it, you need either iOS or Android-based device. The drone is quite easy to use. Yet still, thedevice is also endowed with several safety options. The average price is $1300. This model comes with the on-board video transmitter. In some instances, users should add FPV goggles. Thedrone has a very good design. Besides, it is quite manoeuvring. The average price is only $300. This device is for those clients who used not to overpay. The price is low, but the quadcopter is not easy to use. Nevertheless, it produces high-quality images and 1080 p video footage. The average price is $450. Taking into consideration such a keen price the device is not bad. It can fly up to 20 minutes and comes withthe in-built camera. Besides, it also has a remote control. The device allows users to see a first person viewand has GPS. Good model at an acceptable price! The experts consider this model to be an ideal alternative to DGJ Phantom. There is no need to comparethese two devices, but this one will definitely fit to those who are digging for cheap but good drones. If yourbasic premise is to record video, you will be made to buy a camera and a gimbal additionally. This device is an ultimate choice for those who used not to overpay for very expensive models. Besides, thespares to this model are not very expensive and available in many online stores. The drone is endowed with a camera and a gimbal. This is the most chintzy drone from our list. Its price is only $159. The model can’t make boast of high-quality video and good functionality. Specialists recognize this quadcopter as a toy.